Blue Skies Ahead: Simple Snow Week Fun! I don't know about where you all live, but here at our place it has been COLD and SNOWY!! I thought it would be the perfect week to do some fun snow activities with the kids. Since we are busy busy trying to get our house re-organized, I knew the activities this week needed to be simple. Even though they only took a few minutes to do, this activity and snack were a huge hit!! First up, the kids LOVED helping me make their very own Snowstorms in a Bottle! Then let your kids go crazy shaking their bottle and creating their very own snowstorm! I was pleasantly surprised at how much my kids enjoyed these...they would loved spinning them on the counter, turning them upside down, shaking them, and seeing how long it took all the "snow" to settle. 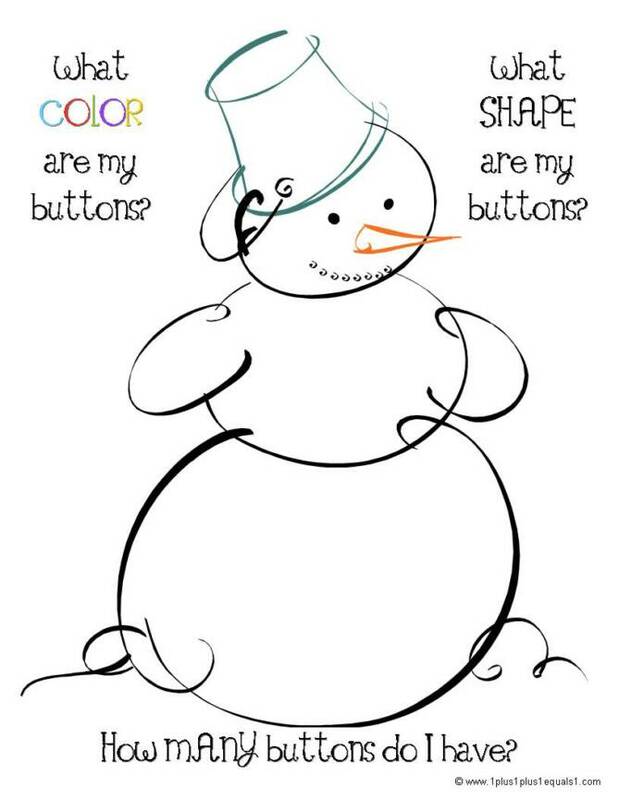 After my kids were done playing with their snowstorms they did a really fun worksheet that I found online at 1+1+1=1. 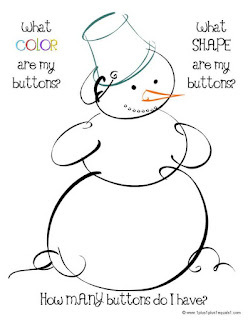 My kids loved cutting out all the buttons and glueing them on...and it was a great way to practice colors and shapes with my younger ones. Yep...just a marshmallow, black frosting, and slivered almonds for a cute snowman nose! Tomorrow we are going to venture outside to play in the REAL stuff...so make sure you check back for another fun activity!! I hope you are all having a great week!! How cute!! I live in South Carolina, so we never see any snow. :( Maybe I'll have to create my own fake snowstorm to make myself feel better! Have YOU Picked your Plum? I'm on the Mommy Panel! Let Your LOVE Show countdown! 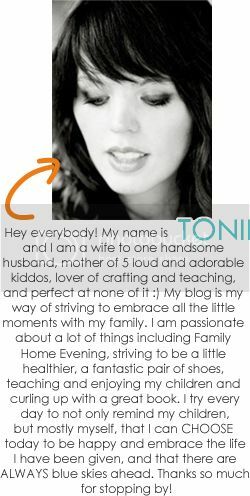 Mingle With Us Blog Hop!! Valentines Day Mantel, EASY burlap banner! Making Homemade Ice Cream...with SNOW!! Smiling this Sunday...kicking off 2013 right! !